500Amp/50mV includes taptite mounting screws. Has two 8-32 tapped holes on one end to attach a bus bar. This is the industry standard shunt. Operating voltage:DC 4.5 ~ 30V. 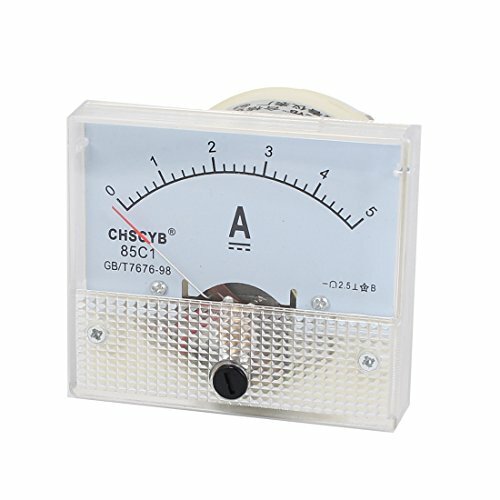 85C1-A Analog Current Panel Meter with accuracy of Class 2.5 can measure current between 0 A and 5 A. 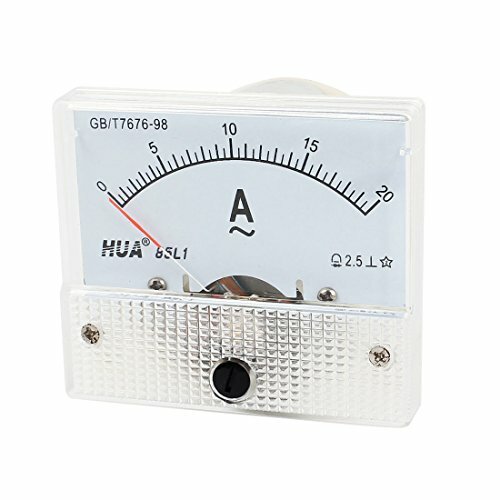 The Analog Panel Meter is low power consumption and long lasting. 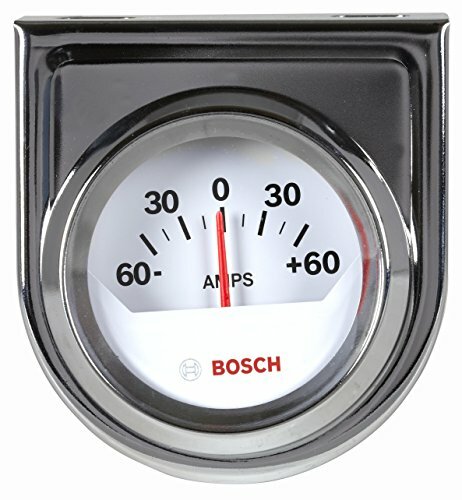 The Bosch SP0F000058 is a Style Line 2" Ammeter Gauge. It features a 60-0-60 Amp scale with a 60 degree sweep. Requires hook up wire. The gauge is a standard 2" white dial for a 2-1/16" opening and features a chrome bezel with removable chrome mounting panel. Includes mounting hardware and 12 volt internal back lighting. Only for 12 volt negative ground systems. The Style Line features a clean easy to read look with a bright pointer against a white or black background. Bosch is known for precision, engineering, and innovation. Add style and you have the first-ever line of Bosch gauges, including replacement tachometers, speedometers, temperature and pressure gauges for all applications. Bosch Branded Gauges represent the latest in design following our 100+ year history of Automotive, Industrial, and Racing products. 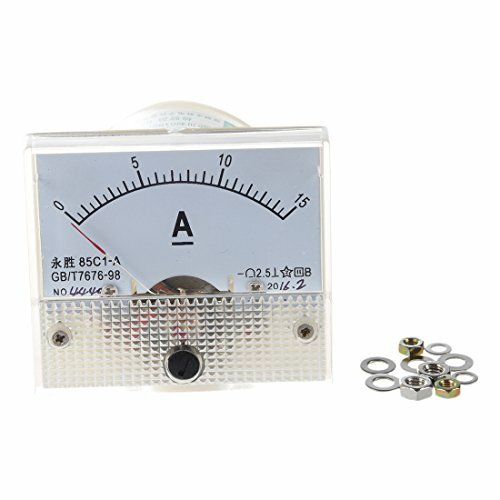 This meter needs separate power supply, the power is DC3.5-30V. DROK digital current meter measurement range is DC 0-3.0000A, power supply is DC 3.5-30V. 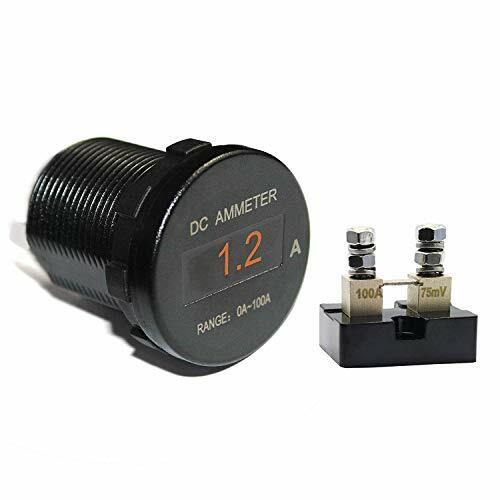 High accuracy: Our DC ammeter has a measurement accuracy of (0.5 + 2 digits). Anti-reserve protection: It has anti-reserve connect protection function, can prevent the meter from burning. LED display: Five 0.36 red LED digital tube make the screen bright and easy to read. Flexible power supply: Can use system common ground power supply(need separate power supply). Measures current range of AC 0-20A with accuracy of Class 2.5. Clear and easy to read scale and a button for fine tuning the dial. 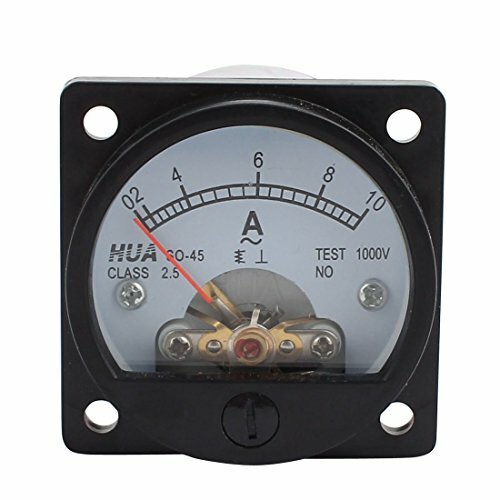 Specifications: Product Name: Analog Ammeter Model: 85L1-A Measuring Current Range: AC 0-20A Accuracy: Class 2.5 Meter Face Size(Approx. ): 6.3 x 5.5 x 1cm / 2.5 x 2.2 x 0.39inch(L*W*T) Thread Size: 0.4 x 0.8cm / 0.16 x 0.31inch(D*L); 0.3 x 0.8cm / 0.12 x 0.31inch(D*L) Overall Depth: 4.6cm / 1.8inch Net Weight: 96g(3.4oz) Color: White Package Include: 1 x Analog Ammeter Several Installing Parts . 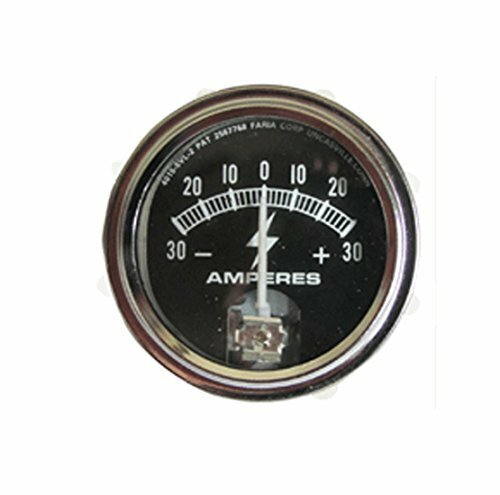 This AC 0-20A Panel Ammeter is specially designed for measuringere and monitoring battery and electrical system. 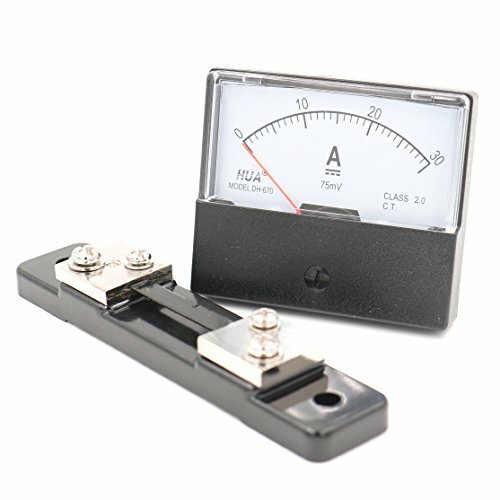 Panel Ammeter measures current range of AC 0-20A with accuracy of Class 2.5. 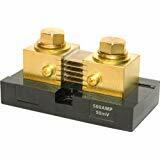 Description: Measures ampere range of 1-30A with accuracy of Class 2.5. Clear and easy to read scale and a button for fine tuning the dial. Needle Ampere Panel Meter for electronic applications, auto circuit or other Voltage measurement devices. Note: this ammeter need to work with a 30A/75mV shunt, which is not included here. Specifications: Product Name : Analog Ampere meter Model : 85C1-A Measuring Ampere Range : DC 1-30A Accuracy : Class 2.5 Meter Face Size(Approx.) : 6.3 x 5.5 x 1cm / 2.5 x 2.2 x 0.39inch(L*W*T) Thread Size : 0.37 x 0.83cm / 0.15 x 0.33inch(D*L) Overall Depth : 5.77cm / 2.27inch Net Weight : 71g(2.5oz) Color : White Package Include: 1 x Analog Ampere meter Several Installing Parts . 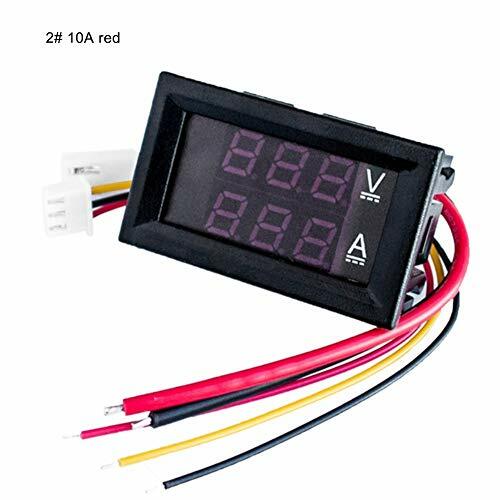 Features : Product Name : 3 1/2 LED Ammeter,red Power Supply : DC 5V Measure Range : DC 0 - 200uA Meter Panel Size (Approx) : 3.1 x 1.7 x 1 inch / 79 x 43 x 25 mm(L*W*T) Mount Size (Approx) : 2.9 x 1.5 inch / 75 x 39.5 mm Display Screen Size (Approx): 2 x 0.94 inch / 50 x 24 mm (L*W) Display Method : 7 Segment LED Display Resolution : 0.1uA Package included: 1x Digital Ammeter 2 x Power Cable Note: 1.Direct connect circuit, without need external shunt. 2.Misconnection between voltage input and current will lead damage to the meter, Please make sure the voltage and current are connected correctly. 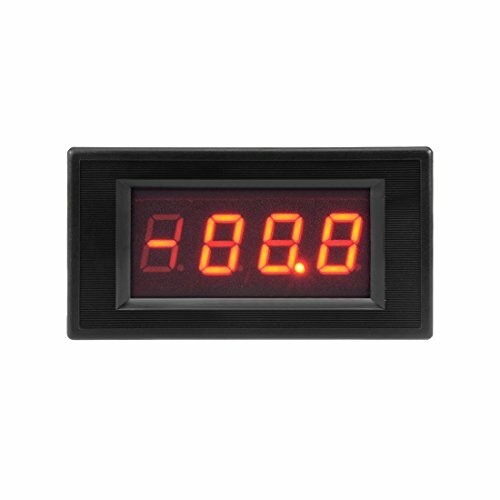 PRODUCT NAME - LED Digital Amperemeter Panel Meter. 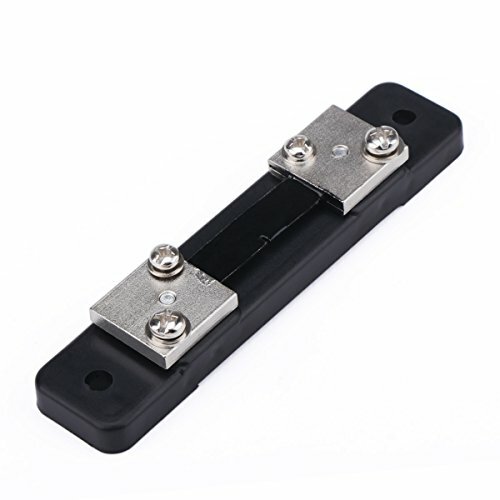 MEASURING RANGE - 0-200uA.Direct connect circuit, without need external shunt. SIZE - Meter Panel Size (Approx) :3.1 x 1.7 x 1 inch / 79 x 43 x 25 mm(L*W*T);Mount Size (Approx) : 2.9 x 1.5 inch / 75 x 39.5 mm;Display Screen Size (Approx): 2 x 0.94 inch / 50 x 24 mm (L*W). 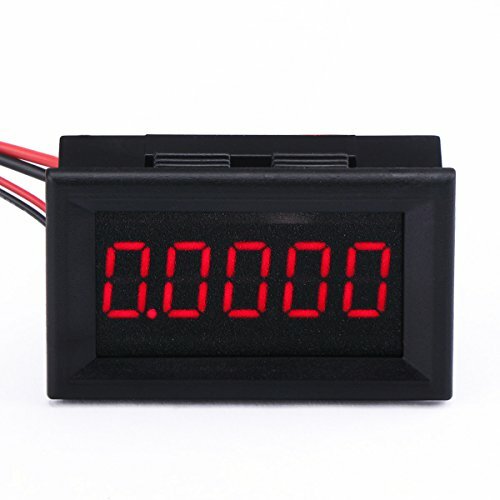 MAIN FEATURE - 3 1/2 digit display.With 4 wires;Display Color : Red;Shell Color : Black. APPLICATION - good for the multimeter: uses in autos, marine, aircrafts, test instruments, solar, wind, hydro power system etc for current indications and monitoring electrical systems. The shunt is mainly composed of manganese copper sheets and copper joints. There are two sets of terminal knobs on the joints at both ends of the shunt: the outer one is a potential end button for connection with the power line, and the inner side is a potential end button for connection with the gauge. 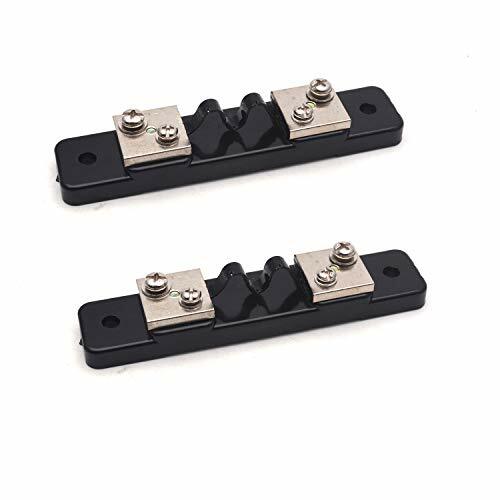 This Shunt Resistor is used to multiply the measuring range of current of measuring. Could be used either in a Digital or an Analog meter. 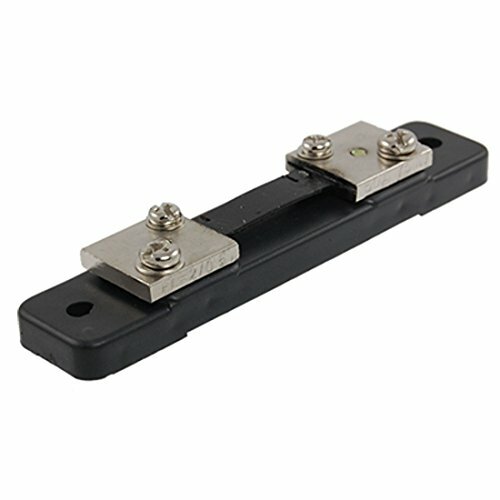 This shunt resistor is used to multiply the measuring range of current of measuring. Could be used either in a digital or an analog meter.p /p. Compact size enables mounting in any convenient location. 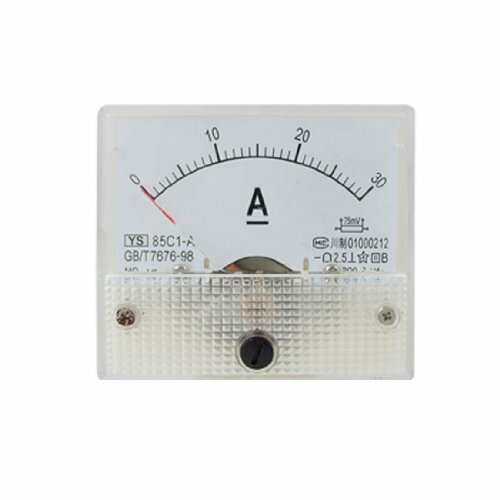 85C1 DC 0-15A Rectangle Analog Panel Ammeter Gauge Measures current range of DC 0-10A with accuracy of Class 2.5 Clear and easy to read scale and a button for fine tuning the dial. Material: Plastic Note: Light shooting and different displays may cause the color of the item in the picture a little different from the real thing. The measurement allowed error is +/- 1-3cm. Measures current range of AC 0-10A with accuracy of Class 2.5, quickly and accurately for testing. 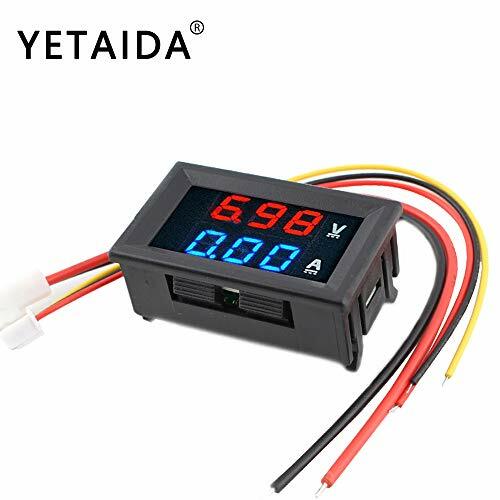 Clear and easy to read scale and a button for fine tuning the dial, can be directly connected with the equipment being tested without the power source. Note: please choose the right meter to testing different range current, which should be not over the meter scale range. 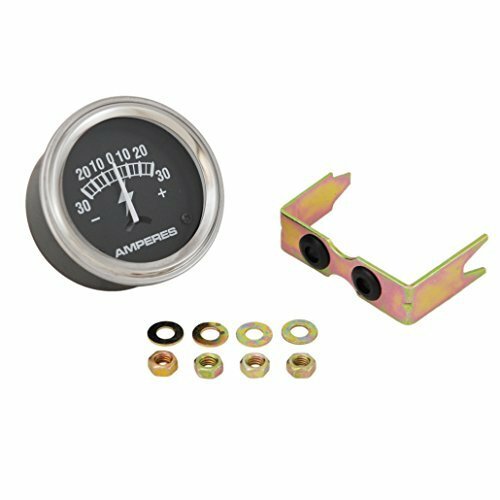 Tractor Ammeter Gauge (30-0-30) with Chrome Ring. Fits Ford Tractors 2N, 8N, 9N, Naa / Jubille, 501, 600, 700, 800, 900, 2000 (4Cyl) and 4000 (4Cyl). Fits IH / Farmall Tractors 100, 130, 140, 200, 230, 240, 300, 330, 340, 350, 400, 404, 424, 444, 450, 460, 504, 560, 600, 650, 660, A, AV, B, BN, C, Cub, Cub Lo-Boy 154, Cub Lo-Boy 184, Cub Lo-Boy 185, H, HV, I-4, I-6, I-9, ID-6, ID-9, M, MD, MDV, MV, O-4, O-6, ODS-6, Super A, Super AV, Super C, Super H, Super M, Super MD, Super MDV, Super MTA, Super MV, Super W-4, Super W-6, Super W6-TA, T-6, T-9, TD-14, TD-18, TD-6, W-4, W-6, W-9, WD-6, WD-9, WDR-9, WR-9. Fits John Deere Tractors 320, 330, 40, 420, 430, 435, 440, 50, 520, 530, 60, 620, 630, 70, 720, 730, 80, 820 (2 Cyl), 830 (2 Cyl), A, AO, AR, B, D, G, H, L, LA, LI, M, MC, MI, MT, R. Fits Massey Ferguson 1001, 135, 150, 165, 175, 180, 20, 202, 203, 204, 205, 2135, 2200, 2500, 30, 302, 304, 31, 3165, 35, 356, 40 Industrial, 50, 65, 70, 80, 85, 88, F40, Super 90, TE20, TO20, TO30. Fits Massey Harris Tractors 101 Jr, 101 Sr, 102 Jr, 102 Sr, 20, 22, 30, 33, 333, 44, 444, 50, 55, 555, 81, 82, Colt, Mustang, Pacer, Pony. Fits Allis Chalmers Tractors 175, 180, 185, 190, 190xt, 200, 210, 220, D10, D12, D14, D15, D17, D19, D21, I-40, I-400, I-60, I-600. Fits Case Tractors 420, 600, 700, 800,C, CC, D, DC, DI, DO, L, LA, LAI, RC, S, SC, SI, SO, V, VA, VAC, VAI, VAO, VC, CI, CO. Fits Co-op Tractors E2, E3, E4, E5. Fits Cockshutt 20, 30, 40, 50, 550, 560, 570 and Golden Eagle. Replaces 254407, 393334R1, 3334R1, 360053R91, 378424R91, 393334R91, 70254407, 515521M91, 240987, FAD10850A. With reverse protection, anti-not burned. High precision, high reliability, suitable for high-end application. The multimeter can clearly display voltage and current at the same time. Attentive Service: Any question about our product is welcome, all your message can be replied in 24 hours. Nice service is committed during the whole sales process.